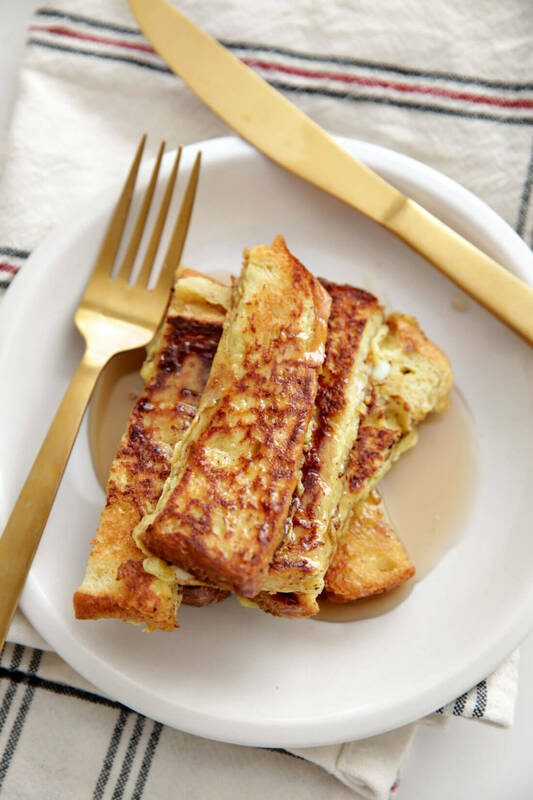 French Toast Sticks – take an old classic and make them easy to dip and make ahead to put in the freezer! 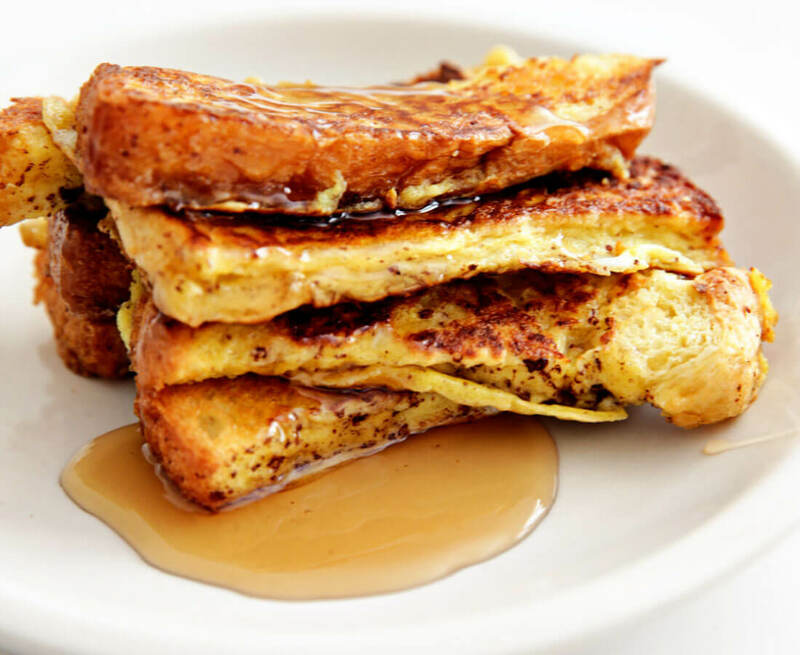 Is there anything better than french toast? I don’t think so. 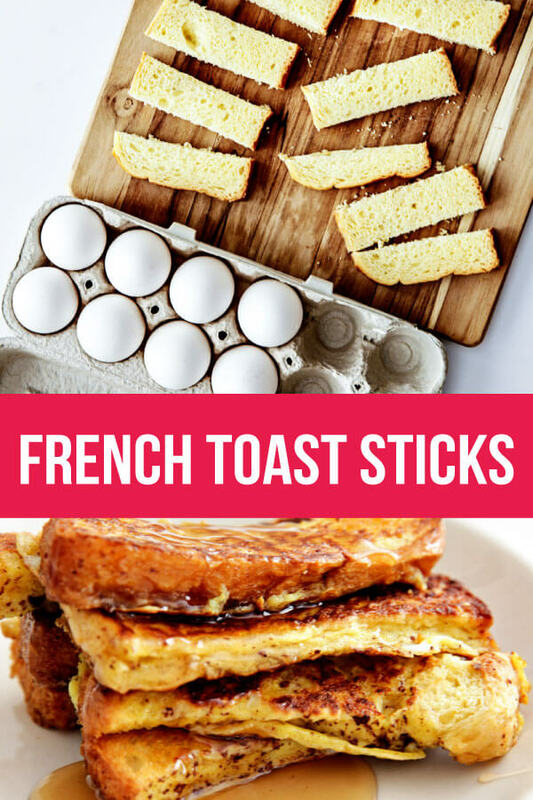 My family loves french toast but making them in sticks is even better because you can DUNK them. Fun and yum! They can also be made in bulk and frozen for later. Read for directions below on how to do just that. Making sticks is pretty simple. You know me, most of the time I don’t cook anything that takes a ton of effort or is hard to do. This recipe is no exception. You most likely have the ingredients on hand. Or if you don’t have them on hand, you should add them to your regular rotation. There is one simple difference between the regular version and sticks – you cut them into sticks. Instead of soaking all of the bread into the mixture, you’ll slice it into 4 sticks and dunk them one at a time. In my experience, this makes them cook quicker and easier to cook evenly. 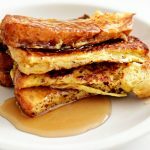 French Toast Sticks - take an old classic and make them easy to dip and make ahead to put in the freezer! Slice each piece of bread into four sticks and set aside. In a mixing bowl, with a whisk mix eggs, milk, vanilla and cinnamon until well combined. Heat 1 tbsp of butter over medium heat in a skillet/pan. *Electric skillets are awesome for this! 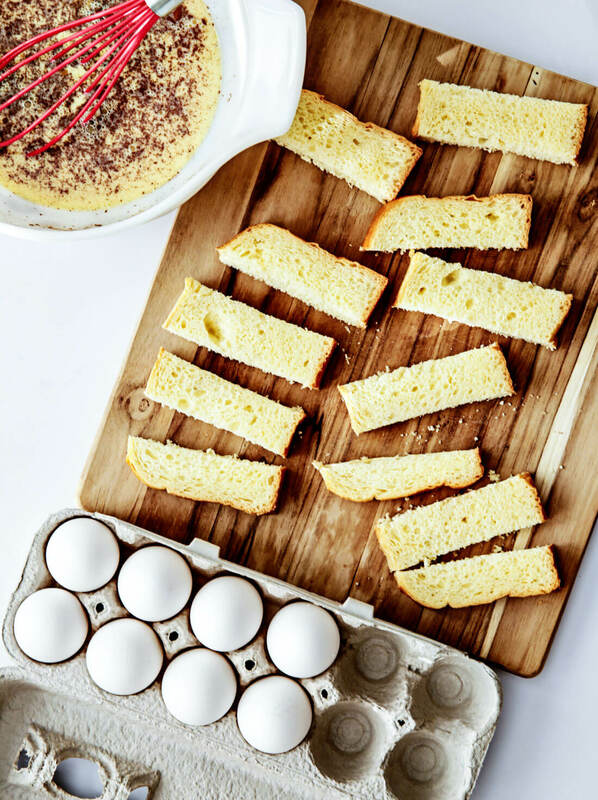 Dunk each slice of bread into egg/milk mixture and place onto the heated skillet. Let cook on each side until browned (approx 3 mins per side). When done remove and place onto a plate and repeat with remaining sticks. Top with butter, syrup, berries, powdered sugar, whip cream, etc. One of the best things about this recipe is that you can make a bunch and freeze them for later. 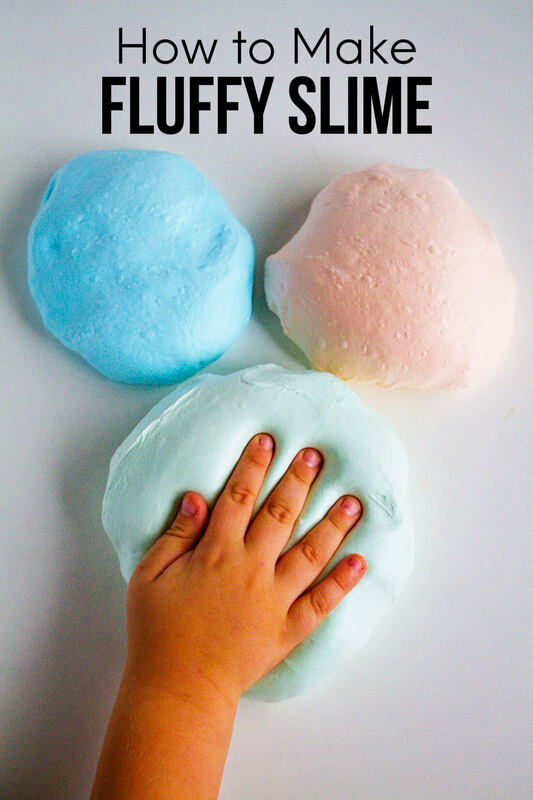 My kids love breakfast like this and it’s since it’s so easy to make, why not? 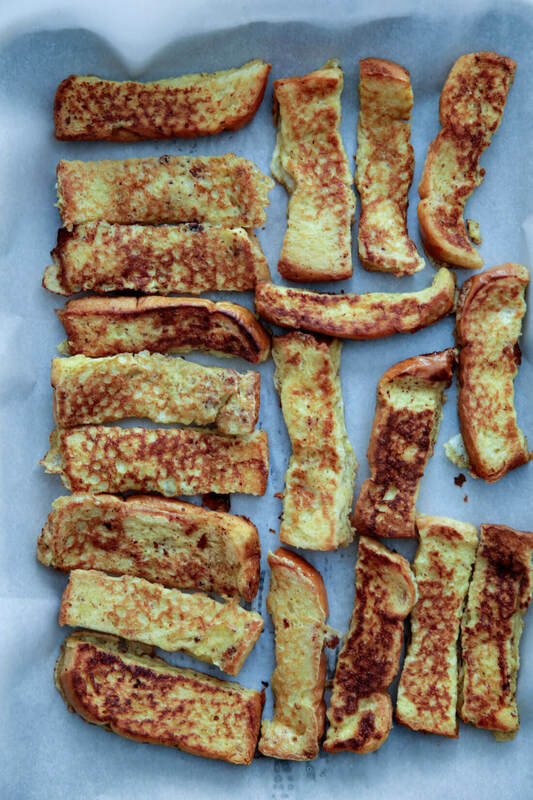 Once you’ve cooked the french toast sticks and they have cooled, line a cookie sheet with parchment paper. Put each stick on the sheet and stick them in the freezer for at least 30 minutes or up to an hour. Then remove them from the freezer and transfer to a gallon sized freezer bag, removing any air so that there is no freezer burn. 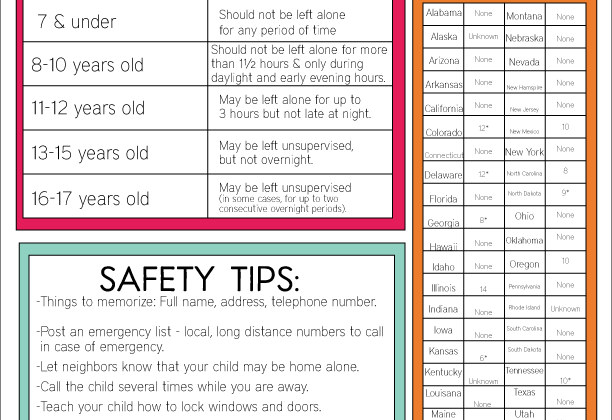 Label the freezer bag (use my freezer labels here) with the contents and date. 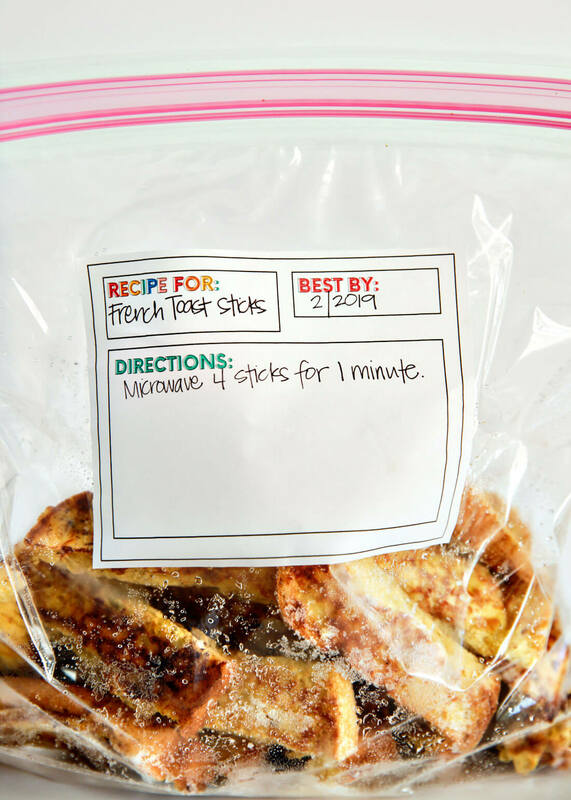 I put directions on how to heat the french toast so that my kids will know what to do. They cook well in the microwave or a toaster oven. For the microwave, heat 4 sticks for 1 minute.